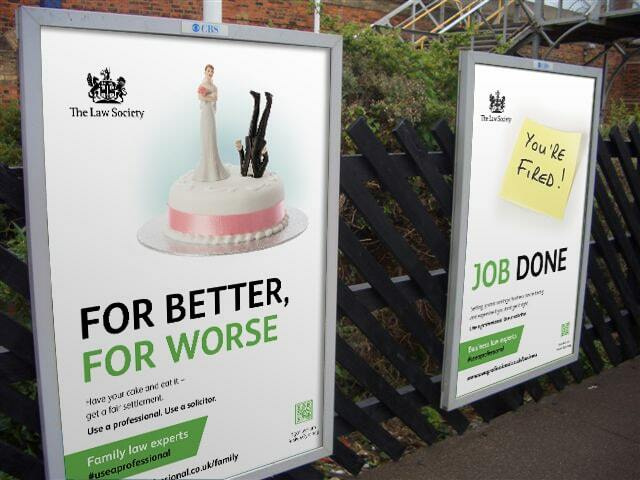 The Law Society has extended its consumer campaign promoting solicitors until the end of October this year, after an increase in traffic to the society’s ‘Find a Solicitor’ website of 18.5% in the first four months. Mike Browne, interim head of communications at Chancery Lane, said visits to the website had increased by almost 300,000 since the campaign was launched on 1 September last year. In a report for this week’s meeting of the society’s membership board, he said 961 law firms had ordered the consumer campaign pack to use locally. Over 29,000 consumers had clicked on the society’s online and ITV on Demand adverts, 120,000 had visited the society’s campaign web pages, and the outdoor and online adverts “were seen up to 310m times”. Mr Browne said the campaign’s existing budget of £480,000 was enough to enable it to run until October, instead of ending on 31 December. He said the campaign aimed to “raise awareness of the solicitor brand and the benefits of using a solicitor”, while encouraging solicitors to tell their stories and those of clients to help educate consumers. Phase 2 of the campaign, running from January to October 2015, will highlight promoting solicitors to “hard to reach/vulnerable clients”. 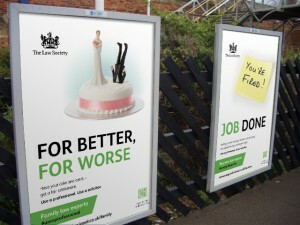 Mr Browne said national advertising had been arranged across 140 train stations in England and Wales for April and May. He said the society would continue to use Facebook, Twitter and YouTube to promote its campaign, along with ITV Player, while continuing to “fine tune and target” its online advertising. “While we’ll be unable to measure the overall impact of the campaign on public perceptions of the profession as a whole, we will be able to measure the impact on consumers by tracking the ‘audience reach’, ‘interaction’ and ‘conversion’ metrics via Find a Solicitor,” Mr Browne said. “This campaign aims to be as visible to the target audience as our budget allows and will be integrated with SEO/PayPerClick activity so that we deliver measurable benefits to members. “We believe it delivers on our purpose to promote the profession and represent our members’ interests. Legal Futures revealed in June that the campaign would cost around £400,000 and be managed by Yorkshire-based PR and marketing specialists DTW.